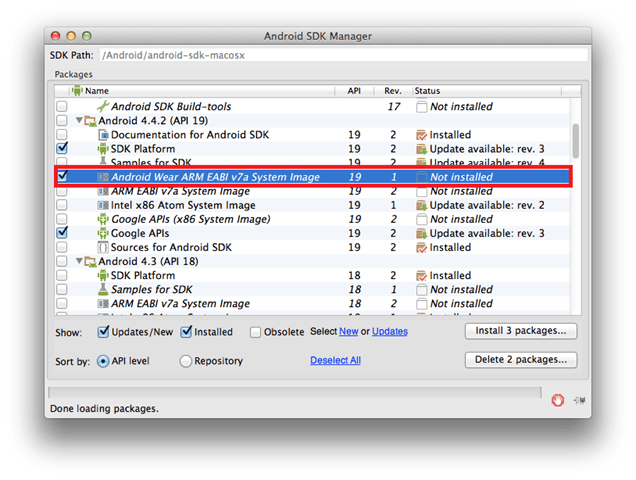 Android Wear SDK: Set up "Hello world"
In this post I want to describe my first experience with Android Wear SDK. This is a very simple project just to test how it works and how we can set up the environment. You can refer to this link if you want to have more detailed information. Check it and install. At the end you have the new device image!! At the end click OK. Now we have our device ready!